LOA = 29 ft. 11.5 in. LWL = 25 ft. 5 in. BEAM = 10 ft. 4 in. DRAFT = 5 ft. 7 in. / 4 ft. 7 in. SA = Main 162.5 sq. Ft.
SA = 388.1 sq. Ft. This line drawing was scanned it from a very small photo. It does give a good idea about the boat's lines. 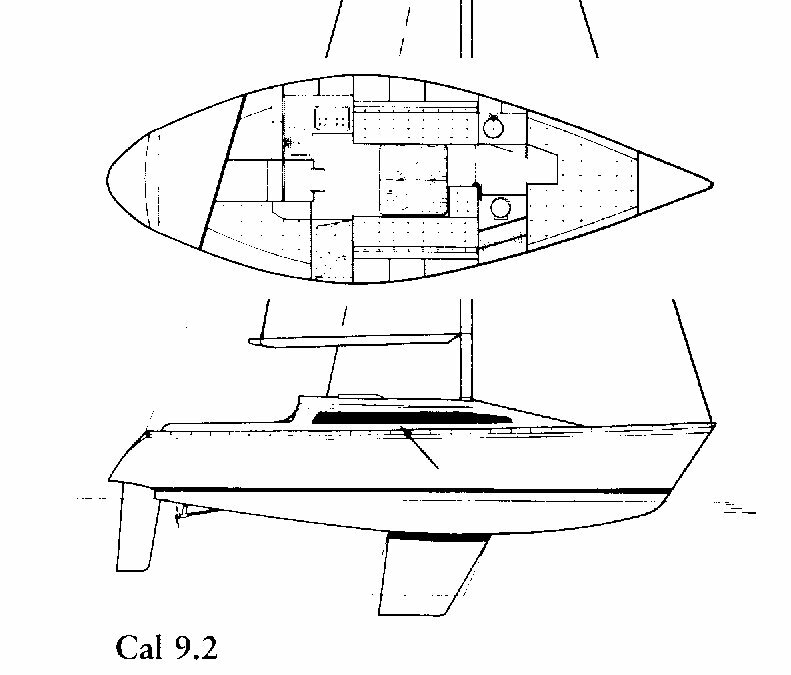 Return to my Old Cal Yachts page. This is where you just came from. 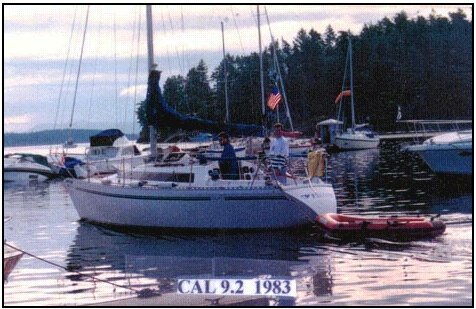 It contains facts and information on Jack Jensen, Bill Lapworth and Cal Yachts. bottom of page . . .
Dan Dalrymple, editor, Old Cal Yacht homepage. No fees, no charges, just good "G" rated information for all ages to view.